Nearly ten million households hold an ownership stake in a timeshare, according to Consumer Reports. In 2014, there were nearly $8 billion worth of timeshare properties purchased in the United States. Considering the popularity of timeshares, a common issue that arises during a divorce proceeding is how exactly a timeshare would be divided between the divorcing couple. An essential aspect of divorce is agreeing to a division of marital assets and liabilities. Property such as a primary residence, a motor vehicle, joint bank accounts, etc. are somewhat easier to manage when compared a timeshare ownership stake because couples only own a percentage of the property rather than owning the property outright. Another key consideration is how the timeshare agreement was structured and whether both spouses, or just one spouse, is listed as the owner of the timeshare. The language of the timeshare agreement and the signatories are important when analyzing whether the timeshare is community property or separate property. Under Texas law, community property is property acquired during the course of a marriage by both spouses. In the Lone Star state, divorcing spouses are obligated to divide community property in an equitable manner. Separate property, as the name implies, is property owned by one spouse prior to the marriage, or is property obtained by one of the spouses from a third party independently. For example, if the husband’s grandfather left their timeshare to him, the timeshare could be considered separate property, even if the husband and wife both used the timeshare. There are many issues that could become contentious during a divorce proceeding, but they do not have to be. 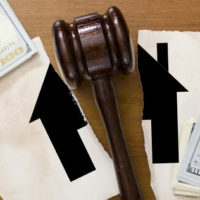 There are instances where couples recognize the fact that division of property is a central aspect of a divorce and it must be accomplished so they can move on with their lives. With this mindset, the couples are open to compromise and can reach an amicable agreement in community property, including a timeshare. For example, the couples could agree to divide the number of days that each gets to access the timeshare and agree to an equitable division of the expenses related to maintaining the timeshare. If you and your soon-to-be-ex-spouse cannot reach agreement on an equitable division for the use and management of the timeshare, it may make more sense to simply sell the timeshare and divide the value between the divorcing spouses. As you can see, the division of assets and liabilities can be complicated. That is why it makes sense to speak to an experienced lawyer with Lindamood & Robinson, P.C. in Houston. The goal of our law firm is to help our clients obtain resolutions in divorce and custody disputes that ultimately provide them and their families with financial stability and security while minimizing stress and anxiety. To learn more, contact our office by phone or e-mail.